Grown-ups celebrate the holidays for grown-up-type reasons. For kids, it’s all about the LOOT! 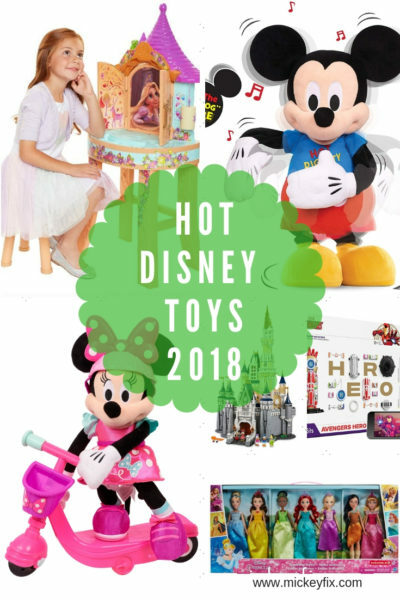 Stuff their stocking but good with some of the finest kiddie concoctions around, found right here on this Hot Disney Toys Gift Guide! We’ve searched the deep, dark recesses of the Internet to find THE things that the kids are going to go cuckoo for this Holiday Season. Whoever you’re searching for: kid, grandkid, niece, nephew, kid down the street who walks your dog–we’ve got the LIST! Listen to the sounds of shattered crystal when the wee ones get what they’re really into this holiday. Adults, peace, love, and joy can be celebrated in an hour or two. Right now, it’s gift-giving time! If you’ve got a Tangled fan in the family, get your mitts on this one right away. 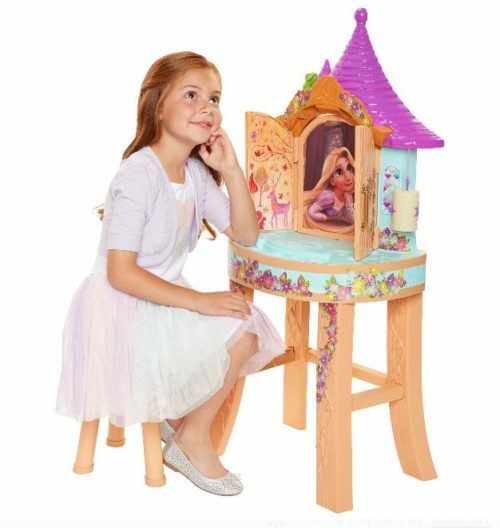 This Disney Princess Rapunzel Vanity is a Walmart Exclusive, so you won’t be able to find this guy anywhere else. It’s $59 worth of purple plastic joy. If you’ve spent any length of time around a toddler, you know that dancing toys make them lose their mind–the good way. 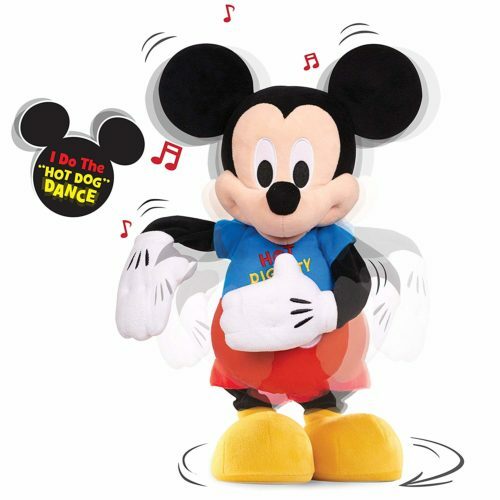 Add a bit of dancing to Mickey Mouse Singing the Hot Diggity Dog song from Mickey Mouse Clubhouse, and be prepared for non-stop giggles! Okay, here’s a great one for the tween and up set. 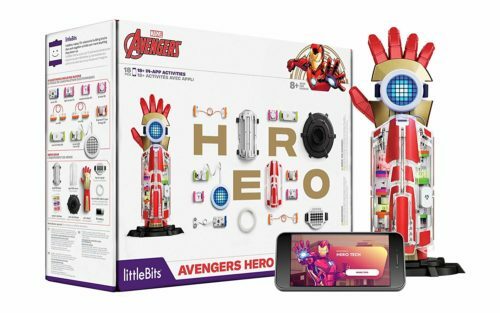 This littlBits Avengers Hero Inventor Kit is for superhero lovin’ kids and has 18 different STEAM activities, including how to make their own superhero gauntlet. We kinda want one one for ourselves. 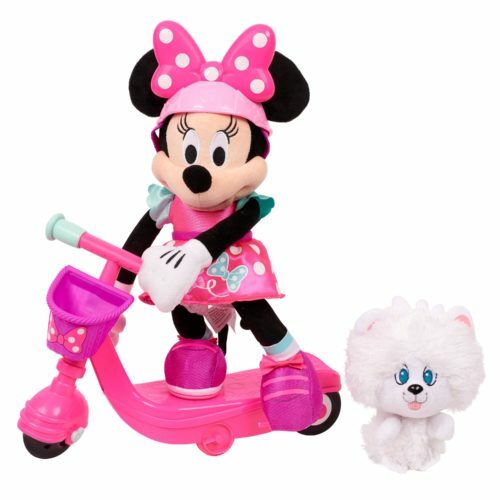 This Fun Scooter’s for fans of the Disney Junior show Minnie’s Happy Helpers. She sings and spins and flashes alongside her fluffy friend, Snowpuff. 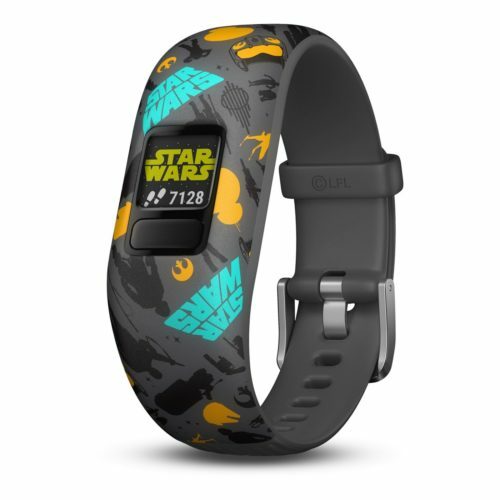 This Garmin Activity Tracker not only features their favorite characters, it also rewards them for being active by unlocking codes for special moves on included video games. Parental BONUS: it has a chore alert setting! What kid wouldn’t want their own SLEIGH? 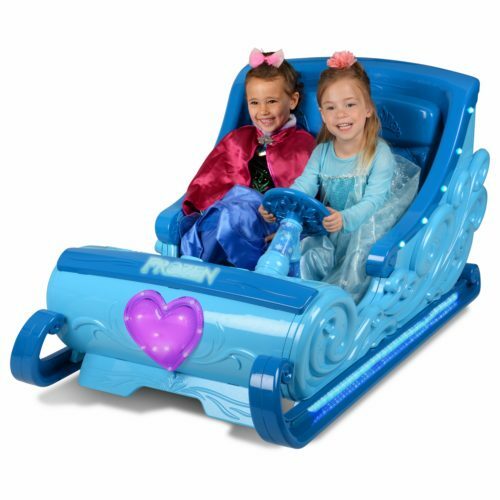 And, holy mackerel how nuts will they go over an Anna and Elsa Sleigh! Giddy up, Sven! Let’s gooooo! 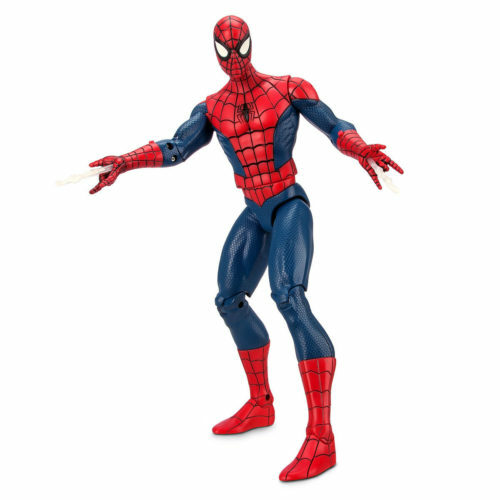 This Spiderman Action Figure speaks 15 phrases and slings two webs. He’s the perfect thing for your web-slinging fan. 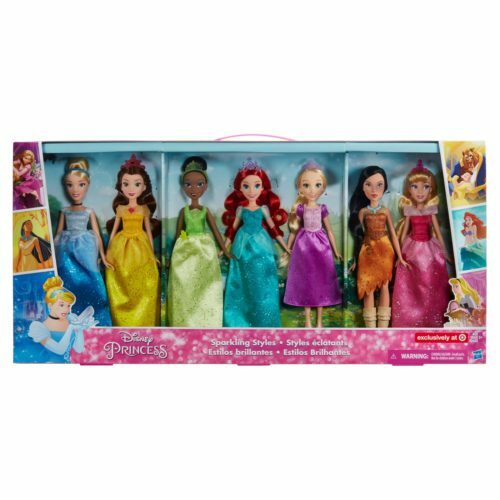 This pack of Disney Princesses is perfect for your little imagination maker and is exclusive to Target. and you can get them right here. This is one for maybe Mom and Dad, or a kid who’s been reeeeeeally good. 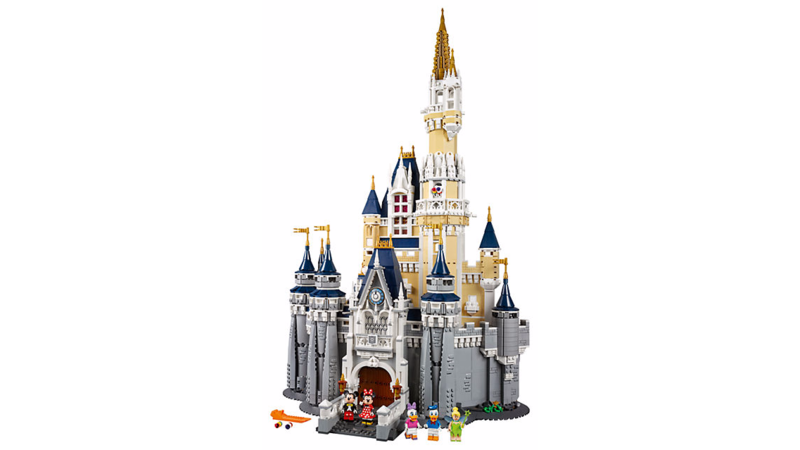 Either way, it’s on our List of Favorite Disney Toys of all TIME: this LEGO Disney Castle is ginormous, comes with all your favorite friends, and has us really, really, REALLY hoping we made it to the nice list this year! Whoever you’re shopping for this holiday season, we’ve got your back! Moms, Dads, Friends, and Fam: we’ve got ’em covered! Check out ALL of the fantastic Disney Gift Guides and How To Guides we have over on Mickey Fix!